KBZ Bank, Myanmar’s largest privately-owned bank is proud to announce a partnership with Huawei to create an inclusive digital financial ecosystem,which will give Myanmar citizens across the country greater access to finance and improve their quality of life through banking. 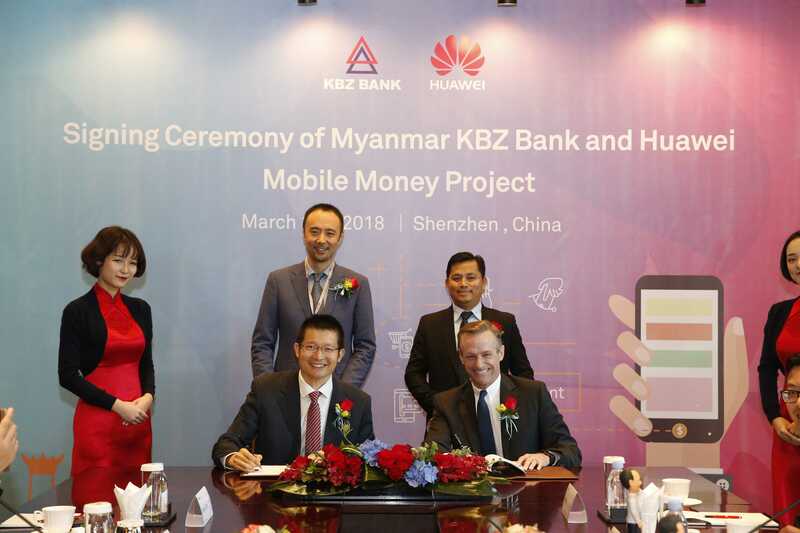 Through identifying and leveraging Huawei’s strengths in R&D and developing cutting-edge technologies, KBZ Bank looks to create greater value for the people of Myanmar. “To be the bank that Myanmar deserves and needs, we need to look out for world class partners to expand upon our ambition to offer new and better ways to improve the banking experience and quality of life for all. We’re thrilled to have Huawei, a global leader in ICT solutions, on board with us to turn our ambition into reality,” Mike added.